Expect Outstanding Performance. And Exceptional Audio. 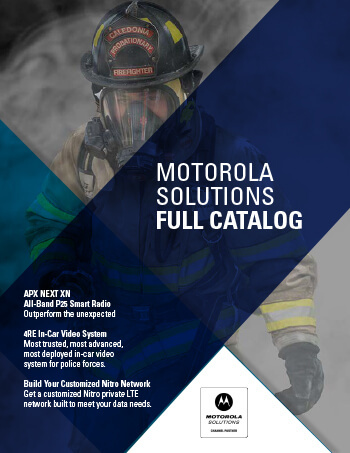 Motorola's design teams worked with public safety and federal personnel around the world to develop the safest, lightest P25 portable on the market: the APX™ 7000 multiband radio. Each feature and function was engineered with their requests in mind, from easy to use design to exceptional audio. In fact, the APX 7000 offers the loudest, clearest audio of any portable radio on the market—50% louder than comparable radios in its class. Get Instant Interoperability. Across Agencies, State Lines And County Lines. Whether you're patrolling the border or directing a multiagency response, the APX 7000 portable delivers seamless interoperability on demand, so you can efficiently manage mission critical voice and data in any environment. Universal push-to-talk button with enhanced grooves is easy to find by "touch". Full Bitmap Monochromatic LCD Display, 1 Line Text/ 8 Characters, 1 Line of Icons, No Menu Support, Multi-Color Backlight. Top Display Plus Full Bitmap Color Display, LCD Display, 4 Lines Text/14 Characters, 2 Lines of Icons 1 Menu Line, 3 Menus. Keypad: Multi-Color Backlight, Full Keypad 3 Soft Keys, 4-Direction Navigation Key, 4x3 Keypad, Home and Data Buttons.